Waugh! Huh! Good god ya’ll! 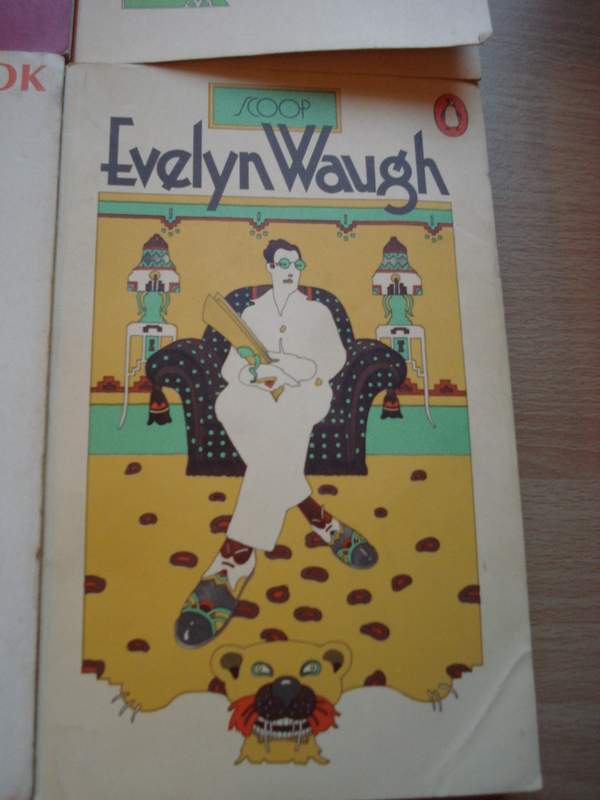 As Evelyn Waugh’s ‘Scoop’ is on the 100 Greatest Novels, I had to buy it. I found this set of six Penguins from the 60’s for ten pounds on eBay, and on top of my love of old Penguins, there is also the wonderful cover art of Bentley/Farrell/Burnett on four of them, that sealed the Paypal deal. Something Yellow Submarine and slightly unnerving about them. I fear Blue Meanies above everything scary in the world. And beyond. If Ripley had been stuck on a space craft with Blue Meanies, I’d have been unable to watch at all. At first glance I thought that was a poo in the crown, but it’s not, it’s a baby bird. 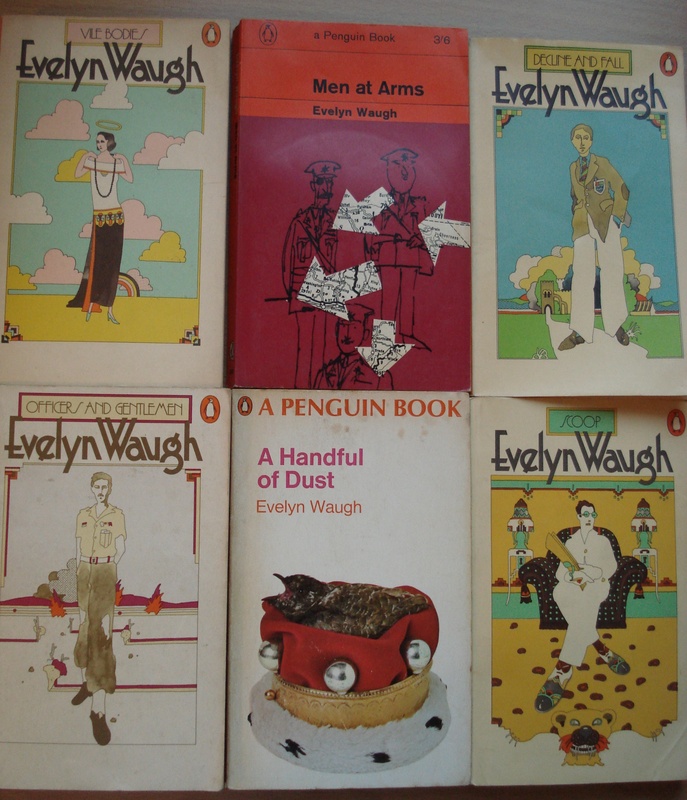 I also found this amazing video of Evelyn Waugh being interviewed. He was one of those people that are so posh, so clipped, it almost seems as if speaking hurts him. And could also be a tad tipsy. ← Laugh along with the common people…. Good haul! Those covers are fabulous. I remember reading ‘Scoop’ when I was a teenager. 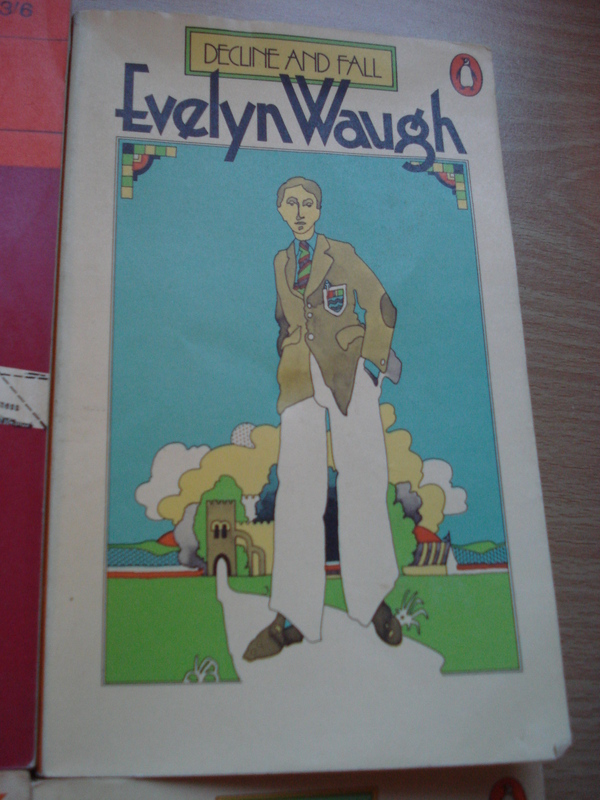 I was expecting a dry and dusty read from someone with as grand a name as Evelyn Waugh, so was delighted to discover how funny it was. I’m really looking forward to reading it again for the 100 challenge. Talking of the name, Evelyn’s first wife was called Evelyn. Friends called them She-vlyn and and He-vyln. By the power of Greyskull, they had the power!